Dr. Wilson is nationally certified as a Pediatric Nurse Practitioner (CPNP) and a Family Nurse Practitioner (FNP – BC) where she practices as an endocrinology specialist. 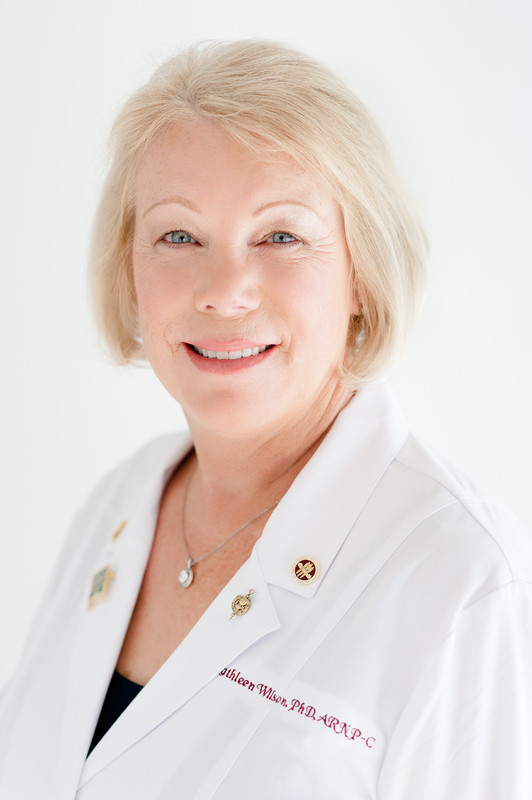 Over the past 38 years, she has held positions in education, practice (PNP and FNP), research, administration with extensive experience in chronic disease prevention and management, and community program development. Her research focuses on risk behavior reduction, preventive health care modalities across the life span, and community participatory research. She has published articles in several journals, including Family & Community Health: The Journal of Health Promotion and Maintenance, Journal of Pediatric Nursing, and the Journal of Pediatric Health Care. She presents regularly at national (including AANP) and international conferences on various topics including endocrine conditions, pediatric primary care, adolescent health, and family health. She continues to teach and mentor graduate (Master’s, DNP, and PhD) students in the clinical and research arenas and serving on their master’s and doctoral committees. She contributed to the development of a DNP program at both FSU and Walden University. She is a graduate faculty member @ Walden University teaching in both DNP and PhD programs since 2008. For nearly a decade she served as a contributing faculty speaker for Barkley & Associates Continuing Education & Clinical Update Company preparing NP graduates to successfully pass the certification exams. She attributes who she is today as a culmination of learning from her students and patients.